This page is pretty self explanatory. It is designed to give you an brief overview of each of the different codices and their competitive army builds. Also included are tips for countering such armies, should they be sufficiently dangerous to merit mention. This is NOT an all encompassing tip list as of yet, but it does give you the most important parts of what to watch out for. For the Emperor! Black Templars -- If it hurts you, then it will also hurt your BT opponent. Keys to victory include taking down their transports immediately. This means LRCs and Rhinos. You do not want terminators running around your lines, but fortunately, you are probably also mechanized and can avoid them for the most part. Once their transports are gone, it takes much of the wind out of their sails and you just concentrate on eliminating those troops. Target fire support after you've done this. Then its GG. The Blood Angels rely on speed and quickness to beat you. They have several hard hitting units such as Mephiston, Sanguinary Guard, Terminators with Sanguinary Priests, and Command Squads with Priests. All units can gain FNP and Furious Charge with a Priest nearby, meaning you have to make sure they don't get a charge off. Eliminating their transports early is key, if they have one. One of the only armies able to run an effective footslogging army, if they give everything jump packs. The only real thing you can do is hope to piecemeal their army, as it tends to play MSU (multiple small units) and take them down piece by piece. Torrent of fire the hard hitting close combat units until they are dead and then move in to assault with your own units against their assault squads (who are probably small in number and only marginally better than average in CC). Just remember they are much quicker than you are, and can move 18" a turn so you'll have to establish your objectives right away as you'll likely have only one turn to get dug in before they reach you. The key to success against the Grey Knights? Shooting them to death and never, ever getting into close combat with them. I know this sounds counter-intuitive, as most Black Templars players prefer close combat armies, but the fact of the matter is that Grey Knights are far superior at CC. Each GK is equipped with, at minimum, a power weapon. This means that when you charge their small squads with similar initiative units (i.e. I4), your unit may kill that squad...but will get decimated for their trouble. More likely, however, is that that unit will also have a few Halberds and will kill a few dudes before you strike. Not to mention, the GKs are known for their Psycannons. They are insanely powerful and have a very high rate of fire. Fortunately for us, they only have a 24" range so its important to keep out of range of their weaponry. This means you have to stay at a reasonably long range for most of the game, so that you can continue firing to full effect while you knock out their weapons. That is when you advance to whatever objectives the game has. Mid-range to close-range is bad place to be against the Grey Knights. Another problematic unit that will be featured in nearly every GK unit is their Psyrifleman Dreadnoughts. Essentially this is Rifleman Dreadnoughts with +1 Str on their Autocannons. Yikes. Very dangerous, but its the only long range firepower the GK have. You have to take these out as soon as possible. Shaking/stunning them doesn't work, as they have a psychic power called "Fortitude" which cancels that damage result. Concentrate your fire and take each unit down one by one. On the plus side, GK armies tend to be small in size, so a cunning BT player can create opportunities for themselves. Remember, GK have lots of fun stuff, but its usually tailored for 24" or less. Stay beyond the sweet spot and you'll be fine. They are still MEQ and die to torrent of fire just as easily as any other marine. The key to beating the Dark Eldar is to get them out of their transports and on foot. Once that happens, they are much more vulnerable and lose their mobility. While this seems to be the case for most armies, it is especially so against the DE. They rely on their transports for much of their firepower, so if you're able to shake/stun or disable their vehicles, then you're well on your way to winning the game. However, the job isn't complete if you manage to take down these critical vehicles. More times than not, they are carrying infantry capable of inflicting massive amounts of damage very quickly. Fortunately, they are rarely durable enough to withstand incoming fire. Toughness 3 and armor saves of 5+ aren't going to save you for long. Its also important to note that the DE are the epitome of MSU, so they will be easier to eliminate if you get your "legs" under you early in the game. Always look out for the Trueborn Blaster squad. These are often mounted in Venom's for duality and usually feature 3-4 blasters in the unit. They will look to advance very quickly towards your army and then jump out blasting full throttle into your force. Because there is almost always 3 of these squads, they can inflict MASSIVE damage to your army in Alpha Strikes, leaving you vulnerable. In addition to the Trueborn, you'll also have to keep an eye out for the dreaded Beastmaster Packs. These units don't seem all that dangerous at first glance, but they are insanely durable when built correctly and can put an insane amount of rending attacks into your units. Often led by Baron Sathoynx to make them even more durable and deadly. Unfortunately, there are not very many options for you to kill this unit. It will likely take too many resources to kill them off before they reach you, so its best to either get a Tank Shock off on them (which they are vulnerable to), or dedicate your bubblewrap towards containing them as long as possible. Otherwise, stay in your transports as long as you can and target all of your opponent's AT fire support. Once you take down the DE player's Ravagers, which is their only reliable source of AT, concentrate everything you have into knocking out their transports. Once you have infantry to target, dedicate your anti-infantry to picking off these fragile forces. Just make sure you keep yourself mobile and never in a concentrated area for too long. The Dark Eldar will easily adapt and attack you from a place of power if you don't plan for it. If you can manage to contain their rock units for a little while (Incubi, Beastmaster Packs, sometimes Wyches) then the rest of the game will fall into place. Another army that you will have difficulty beating. Unfortunately, everyone has issues beating them. This army is designed to blast you off the table with their Alpha Strike. Reserving onto the board is essential in most games (if you play 2nd) as to minimize their shooting. Once on the board, use cover and smoke launchers to grant saves/glancing hits to ensure you get at least one turn of movement. After that, its just a matter of getting to their line before you crush them in close combat. You will be unlikely to bring down all of their vehicles, as the IG can field them extremely cheap. Priorities are Hydras, Mandicores, any ordnance vehicles (i.e. Medusa), and Valkyries/Vendettas. Once you get to the troops, they will fall quickly enough. Also watch out for Straken, as he is a CC monster that is able to deal with infantry OR vehicles. Orcs only have a couple competitive builds available to them due to their lack of AT firepower. Footslogging orc armies shouldn't scare you, even with low amounts of anti-infantry weaponry. If you get the charge, you'll kill lots of the boys and they will not gain their furious charge. If they are mech'd up in Battlewagons, then you have to bring those down as quickly as possible. Deff Rollas got a nice boost in their most recent FAQ allowing them to put D6 Str 10 hits on any vehicle they have rammed (in addition to their tank shock rules). That will kill nearly any vehicle its pointed at. Other problem units include Nobs with painboys and nob bikers. Both are easily dealt with by torrent of fire or using high strength weaponry. In either build, Lootas/Deffcoptas will be their main source of firepower so target them fairly early in the game to neutralize them (not hard to do). Very versatile force that can be fielded as close combat specialists, or a gunline army similar to the SM list. If fielded as a CC-oriented army, you'll likely see Lords on Thunderwolves with Wolf retinue as protection. Amongst that, you'll also probably see Thunder cavalry and Grey Hunter units galore. Torrent of fire down the Lords and any other Thunder cavalry units, as they will kill most things they charge. Dealing with the Grey Hunters will be a bit more difficult as they are one of the best troops squads in the game because of their versatility. They will have differing weapons, and likely with Wolf Guard to back them up. Toss any free weapons you have their way. Space Wolves also like to combat squad Long Fang squads, as to maximize the use of their splitting fire rules. These are probably your biggest threat, so they need to die early on. The gunline armies are dealt with the same way the above Space Marine gunline is. These guys can be nasty. Even massive mob armies can successfully bog you down in a never ending close combat that Space Marines cannot win. Fortunately, those armies are easy to deal with by using ranged firepower. What is more difficult is dealing with influx of T6 units in the new codex. There are Tervigons, Hive Guard, Tyrants, and Tyrannofexes in almost every list (sometimes see Trygon/Mawloc as well). Tyrannofexes are the best AT unit the Tyranids have with their two Str 10 shots each, but the Hive Guard are in close second. Their range is only 24", but they each fire twice at Str 8 and don't require line of sight (potential 6 Str 8 shots in a full squad). Other dangerous shooting squads include the Harpy with their massively mobile Heavy Venom Cannons and Spore Pod Zoanthropes using their Lance psychic power. Not much you can do to defend against the latter, other than hoping they don't make their reserve rolls (Hive Commander doesn't stack). GW did nerf them a little bit with the FAQ, saying each one has to test separately for the Psychic Test. Tervigons can also be taken as troops if they have a termagaunt squad purchased. They can also produce more termagaunts each turn; on average, they will put out two turns worth before rolling a double. Tervigons have to die very early on, both for their termagaunt spawning abilities and because they are a synapse creature. It is critically important to kill the Tyranid synapse creatures as soon as possible. Often these will be in the form of Tervigons. Not because the Nids will take 'Instinctive Behavior' tests, but rather, because they are no longer fearless. This means you can tank shock their troops from objectives, out of your way, or off the board if the situation calls for it. Without synapse, the Nid threat is greatly reduced. The best way to deal with the mob infantry is to simply stay in your vehicles as long as possible. Most troops in the Tyranid army cannot reliably gain access to your vehicles, so simply stay embarked until they forcefully remove you or a time comes where it is appropriate to get out. Of the troops, only the Tyranid Warriors and Genestealers can get into a vehicle. But neither does it very well as the Genestealers rely on Rending to do the work, and Warriors are easily dealt with before they get to your army (instant death). Remember that Tyranids do not have frag grenades, so keeping your vulnerable units in cover is a must so you are able to strike first in combat. The only units that are easily able to destroy your vehicles is the Hive Guard (Rhinos/Razorbacks) and the Tyrannofex (Predators/Land Raiders). Hive Guard are a tough nut to crack because of their high toughness, but if you can get a good charge off on them and force them to make saves, they will die quickly in close combat (and perhaps sweeping advance). Tyrannofexes are a bit more difficult to deal with, as they probably have Regeneration and are Monstrous Creatures to boot. Shooting them at range is your best bet here. If you luck out and they aren't in cover, feel free to point Lascannons or melta weapons their way. The Immolator spam army (called "Easy Bake Oven") is basically the only real competitive army right now for the Sisters. This will contain a mix of Sisters and IG units, so that there are some long range firepower from the IG and the close range nastiness that the Sisters can put out with their Immolators. Lots of meltas and flamers will be baring down on you and their Acts of Faith will give you headaches. The IG will be the easiest to target and kill, but if the sisters are closer, shoot them up first as they do more damage at close range. Above average army, but should be no problem to deal with if you use proper target priority. And you're done! 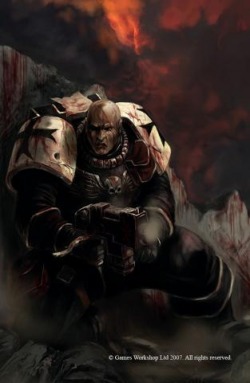 Head on over to the Conclusion of the Black Templars 101 guide!